A staple addition to any stationery cupboard, our Black Card A4 is an economical replenishment option. With 100 individual sheets of A4 card, this 100% recycled card has a thickness of 180gsm. Suitable for a range of tasks including cutting, folding and glueing, each pack comes protectively shrink wrapped to maintain the shape and integrity of every sheet. 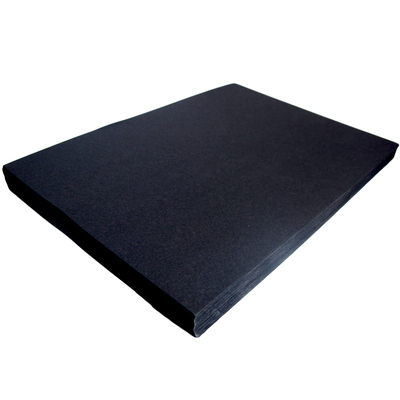 Essential to artistic nurseries, preschools and even care homes, opt for a durable resource that lends itself to a great many activities with this large pack of black card.